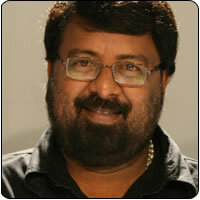 Director Selva has almost completed Muriyadi, which is being produced by Kavithalaya. The director says that the audience will get to see Sathyaraj in a completely never-seen before role. With Muriyadi nearing completion, Selva is moving on to Naanga. This film will have five heroes and heroines. Selva declares that Naanga will revolve around the five lovers who are still in college. On the star cast, Selva says that it will be the progenies of actors, actresses and film technicians. It is Selva’s intention to introduce the heirs of those who belong to the film industry. Bala Bharati has been roped in to compose music for Naanga. The lyrics have been penned by Na Muthu Kumar, Viveka, Eknath and Annamalai.